This hardy ornamental tree, a native of Central America, should not be grown near bushland and any seedlings should be regularly removed before they have a chance to form a thicket. 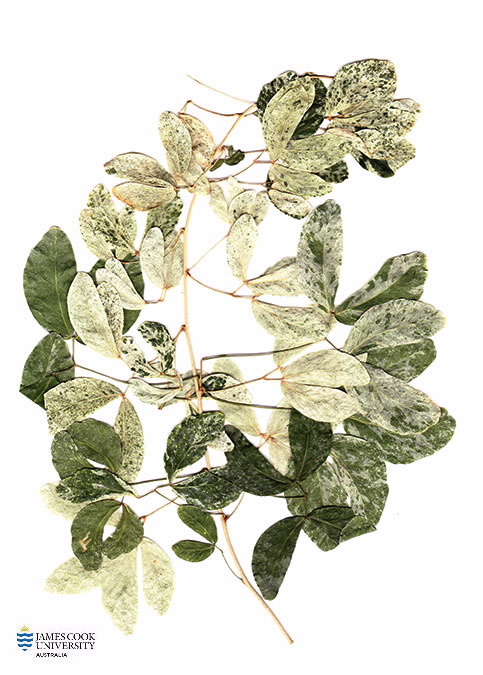 The leaves of the variegated variety have attractive green and white leaflets with a mix of pink. Flowers are in heads, cream. Pods are curved, green to red on the outside with a white edible pulp on the inside surrounding the shiny black seeds. These seeds germinate readily.